To reduce high incidence of disabilities in the country, healthcare practitioners, parents and guardians have been advised to fulfill their responsibilities of monitoring their children to ensure early detection and intervention of the predisposing conditions. Giving the advice recently, was the Governor Akinwumi Ambode of Lagos State who stressed on increased commitment to developmental assessment of a child’s life, particularly those between the ages zero to three. The Governor said that this would improve the chances of early detection, intervention and ultimately reduce the prevalence disability in the society. He said the concept of early intervention is based on early identification and treatment of children who have established diagnosis such as cerebral palsy, down syndrome, autism or those who are at risk due to environmental factors such as malnutrition, poverty and rest. According to him, the summit is part of the State government’s effort to promote awareness for early intervention for children living with disability or at risk of disability and its associated challenges. He said helping them to discover their abilities and value it will enable them define their identities and to contribute their quota to the country’s development. In her welcome address, Mrs. Joyce Onafowokan, Special Adviser to the Governor on Social Development, implored parents to visit healthcare professionals early for their children’s own good. In his keynote address, Prof. Julius Ademokoya, Dean, Faculty of Education, University of Ibadan and President, Speech Pathology and Audiology Association of Nigeria (SPAAN) identified conditions that deserve early detection. According to Prof. Ademokoya, such conditions include children that might have visual impairment of palsy, hearing impairment, mental retardation and intellectual disability. 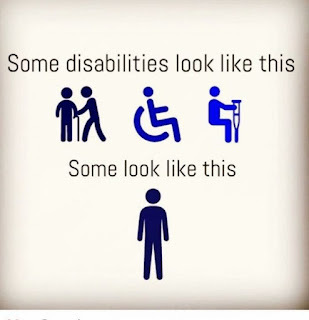 Others are those who have chronic health and physical impairment, autism spectrum disorder and learning disability. “We have those with multiple disabilities. Most of the time we pay attention to single disability, but it is not so. It is very common to see somebody with both ear and visual problem,” he stressed. He also said some children don’t have physical and visible disability, yet they are not doing well, adding that such children need early intervention together with gifted and talented children too. Prof. Ademokoya said there is need to make sure that early interventions are effected as early as possible to reduce disability effects; correct and rehabilitate the children,” he said. He maintained that there is ability in any disability and therefore tasked people not to condemn a child because of disability. “There are individuals who because of early intervention overcame disability and eventually went on to make it in life,” he noted with examples.